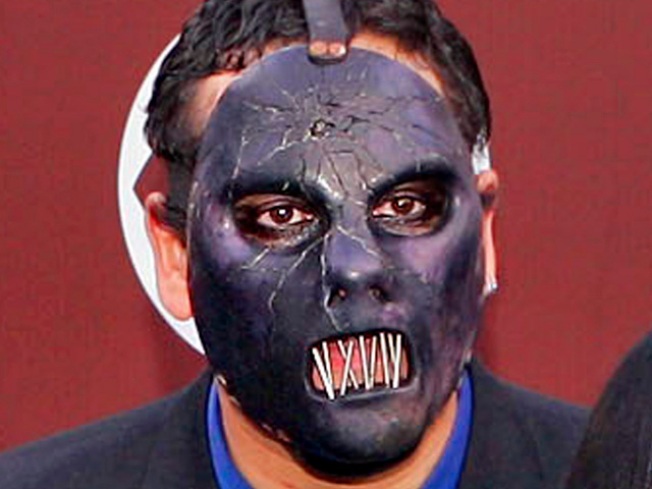 Paul Gray, the bassist for Grammy-winning metal band Slipknot, was found dead Monday in an Iowa hotel room, police said. A hotel employee found Gray, 38, dead in a room at the Town Plaza Hotel in Urbandale, a suburb of Des Moines, police said in a statement. Foul play isn't suspected, and an autopsy is planned for Tuesday. Amy Sciarretto, a publicist at the band's record company, Roadrunner Records, confirmed Gray's death but declined further comment. Most of the band's members grew up in the Des Moines area. Slipknot's self-titled debut in 1999 sold more than a million copies. Known for its grotesque masks, trashing sound and aggressive lyrics, the band won a Grammy in 2006 for best metal performance for the song "Before I Forget." Concert industry trade publication Pollstar ranked Slipknot 18th in its Top 20 Concert Tours list in 2009. Andy Hall, music director of Des Moines rock station Lazer 103.3, said he'd known Gray for 10 years. He described him as a talented bass player who was also one of the friendliest, most caring people he knew. "This is a big blow, not only to the community of Des Moines but fans of metal at large, worldwide," Hall said. "It's a devastating loss. Paul was a wonderful human being." The station was planning to broadcast an hour-long tribute to Gray on Monday night.